Because the Type-C connector can be used to recharge laptops, it may ultimately do away with the need to carry bulky power adapters. Like older USB technology, Type-C will also connect monitors, external storage drives, printers, cameras and other peripherals. One beauty of the system is that cables have the same connector on both ends, and can be inserted into ports without worries about which side is up or down. Storage devices will eventually benefit from Type-C's USB 3.1 protocol, which can transfer data at 10Gbps (bits per second), double that of USB 3.0. But the first peripherals we're seeing support only USB 3.0 speeds. LaCie, which is well-known among Mac users, announced new Porsche Mobile Design portable drives. The drives are designed to work with Apple's new 12-inch MacBook, and also are compatible with the Mac OS Time Machine back-up software. The drives also have traditional Type-A USB 3.0 ports to ensure compatibility with existing Macs that don't have the Type-C connector. The portable drives will ship next quarter and be available in capacities of 500GB, 1TB and 2GB. LaCie didn't immediately provide pricing. We expect portable storage companies Samsung, Seagate, Toshiba and Western Digital to follow suit and release USB Type-C portable hard drives and SSDs. Emtec has announced Duo USB-C 16GB, 32GB and 64GB thumb drives with Type-C and Type-A connectors. Beyond Apple's MacBook, the flash drives can be used with Nokia N1 tablet and Google's Chromebook Pixel, which are the only other devices with Type-C ports. The Duo USB-C drives provide read speeds of 110 megabytes per second and write speeds of 20 megabytes per second, which are not overwhelming, but in line with speeds of other USB 3.0 flash drives. Emtec did not provide pricing for the drives, which will ship in the second quarter. Another 32GB flash drive with USB Type-A and Type-C ports was announced by SanDisk. The Dual Drive Type C will connect into PCs and Macs. SanDisk didn't provide a price for the product, which will ship in the second half of the year. Apple's introduction of the USB Type-C for the first time in its 12-inch MacBook will have users scrambling to upgrade cables so the laptop can connect to Apple's iPad, iPhone and other existing peripherals. Apple is selling a standard USB Type C to USB converter for US$19, a two-meter extension and charge cable for $29, and a USB Type C power adapter for $49. It's also selling a $79 USB Type C Digital AV Multiport Adapter so the new MacBook can simultaneously connect to a 1080p HDMI display, USB 3.0 device and a USB Type C charging cable. For $79 you can buy a USB VGA Multiport Adapter, which is similar to the Digital AV adapter, but with a VGA port instead of an HDMI port. Apple now sells a Lightning to USB 2.0 converter, so it's possible it may in future offer a USB Type-C to Lightning converter to connect iPhones and iPads. Amazon is selling a handful of inexpensive USB Type-C to Type-A converters, which could help connect existing peripherals to Type-C ports in the newer computers. The most expensive cable from Aukey is priced at $21.99, and the cheapest is priced at $7.88 by Chenyang. If you're building a desktop, scouring online retailer sites could lead you to motherboards with support for USB Type C ports. These Type C ports support the newer USB 3.1 protocol, and are capable of moving data at speeds of up to 10Gbps. Asustek's Rampage V Extreme boards for gaming desktops is selling for a whopping $519, but it supports the newer DDR4 memory and the latest Intel processors. 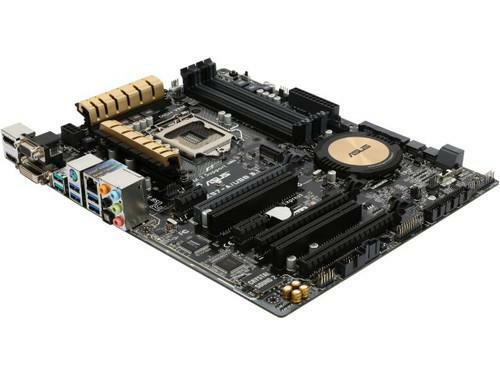 Other Asus motherboards with the older DDR3 memory and USB 3.1 ports are being sold at prices ranging from $159 to $259. MSI is also bringing Type C connectors to a range of motherboards.